Old habits die hard. Not that this is an excuse for avoiding change, but… they just do. When you, like most of us, grew up in this affluent society of ours, you are used to groceries always being available to you. That yoghurt in the back of the fridge, that you forgot when you went away for a few days… oh well, sheepishly throw it away, you can get a new one today. That take away food, that you didn’t end up eating in the end – bye, there’s the bin. Again, you bought 10 eggs and ended up eating 3? If you are recognizing yourself right now, this article is for you! There is that indifference, in all of us. But if global food waste was a country, it would be the third largest emitter of greenhouse gases next to China and the USA. Unshaped fruit and vegetables, overproduced goods, portions at restaurants that are too large or expired groceries that are still fine to consume – all of it ends up in the bin, even though it is still perfectly fine to eat. 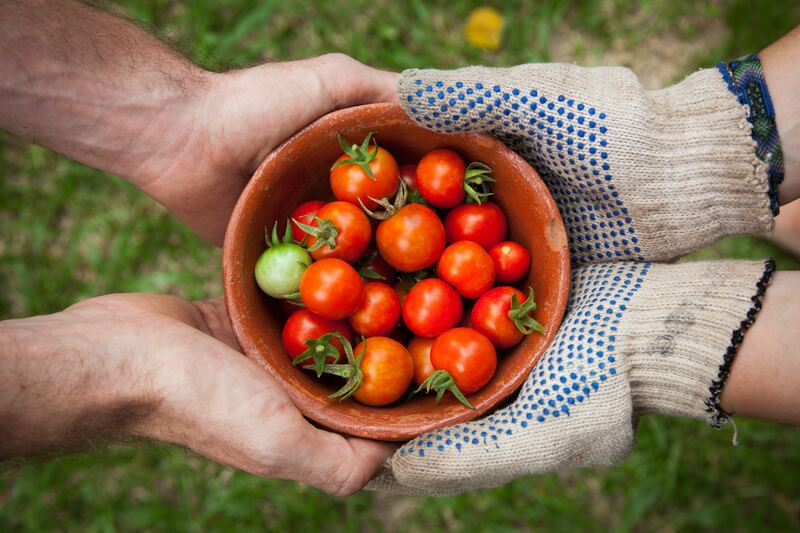 Food waste is on of our biggest problems today and the fight against it should become habitual. This is why we are giving a shoutout to these awesome Berlin-based food projects that are taking a stand against it. 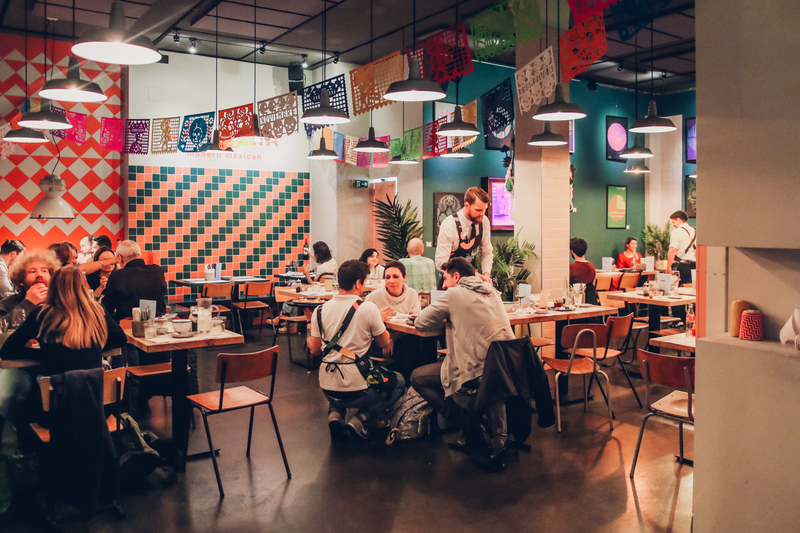 With so many great Mexican and Mexican-inspired restaurants in Berlin already you would think our bellies would be full with Tacos. Nonetheless it was a compelling prospect for us to get one more – but with a completely different approach. 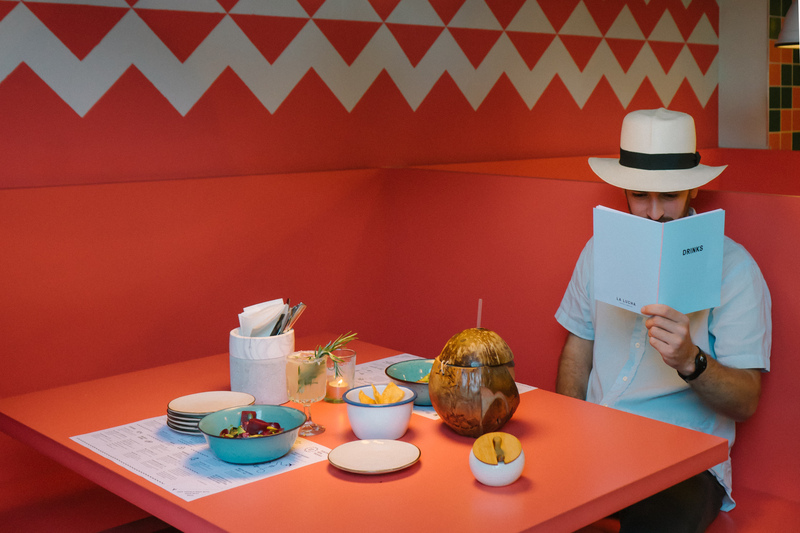 We already highlighted La Lucha in our New Restaurants Guide 2017, and now we all finally got the chance to experience one of Kreuzberg’s most exciting gastronomic newcomers, – reason enough for a ‘lil review. Already in its second edition, the True Italian Festival of authentic Italian cuisine stormed the city last weekend with over 50 locations to explore. Organized by our friends from Berlino Magazine their goal is to promote Italian dishes that are not so famous in Germany. The great deal about this festival is: You get a unique specialty and a drink all for the special price of 7 Euros. Sounds good right? Berlin never stops to deliver us new places to explore and fall in love with. 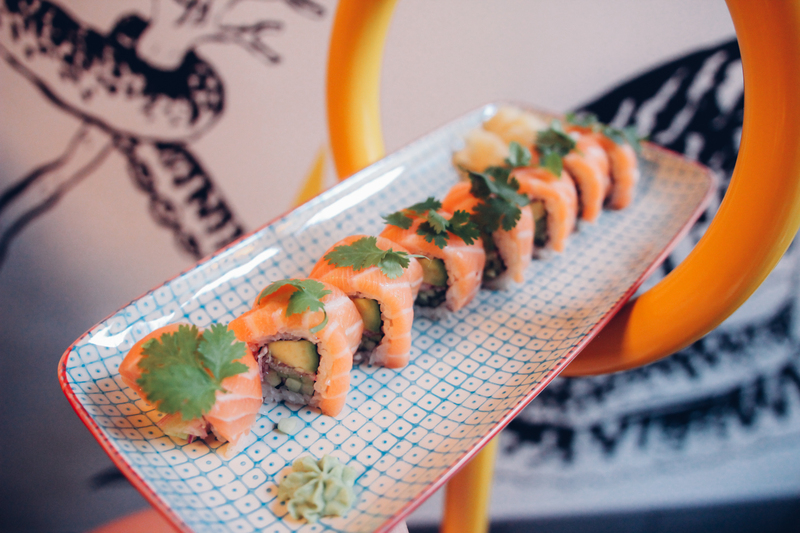 Each year an abundance of new things pop up all over town, putting undiscovered areas on the map and adding new spice to already established ones. The gastronomic newcomers of this years are particularly exciting and diverse and we had a bit of a hard time to choose the ones we want to present you here in our new guide. We especially love the fact that the style of kitchen is becoming more experimental and bringing some new trends into town, but also that interior and ambience continues to evolve. Here’s our selection of the most exciting new restaurants in Berlin that you should check out in 2017. 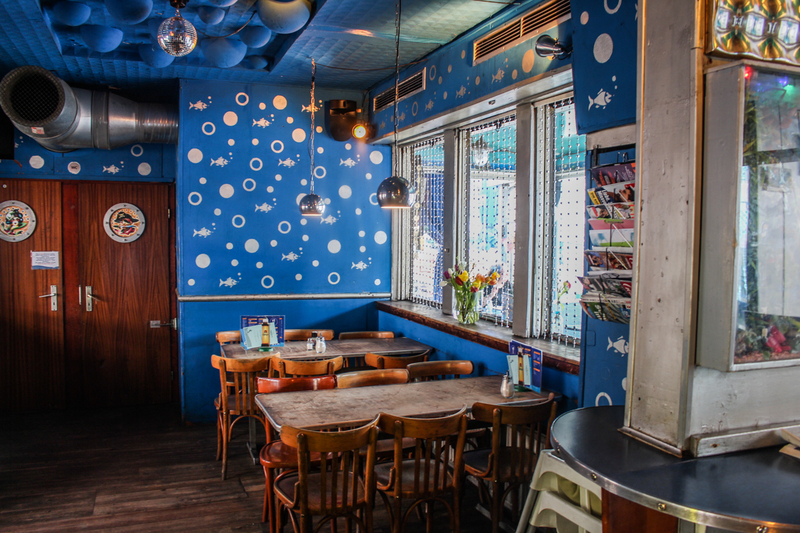 Being one of the most popular districts of Berlin it comes as no surprise that Kreuzberg has one of the most diverse and pulsating gastronomic scenes of Berlin. 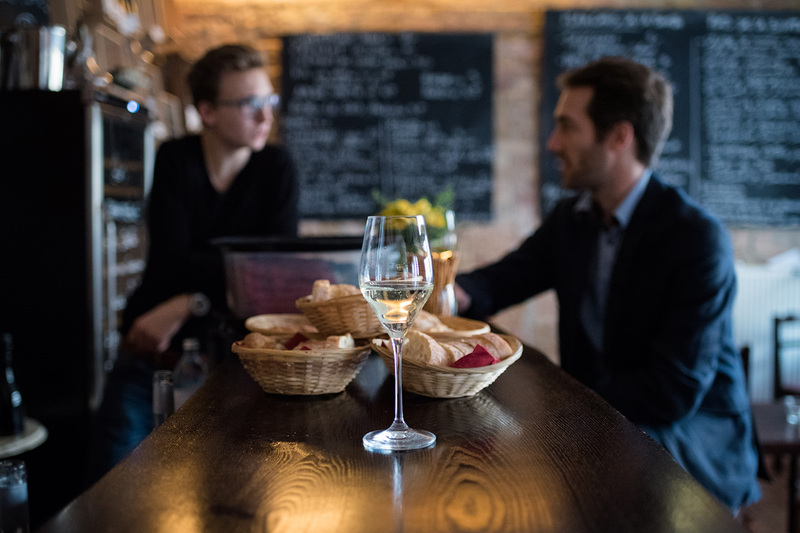 There are some typical hotspots here such as Paul-Linke-Ufer, Oranienstraße, Wiener Straße and the area around Schlesisches Tor that are full of amazing restaurants and bistros with a variety of foods that offer something for everyone’s taste. But today we want to highlight an area that is a little bit under the radar but has some great food spots that you should definitely look into: I’m talking about Prinzenstraße. 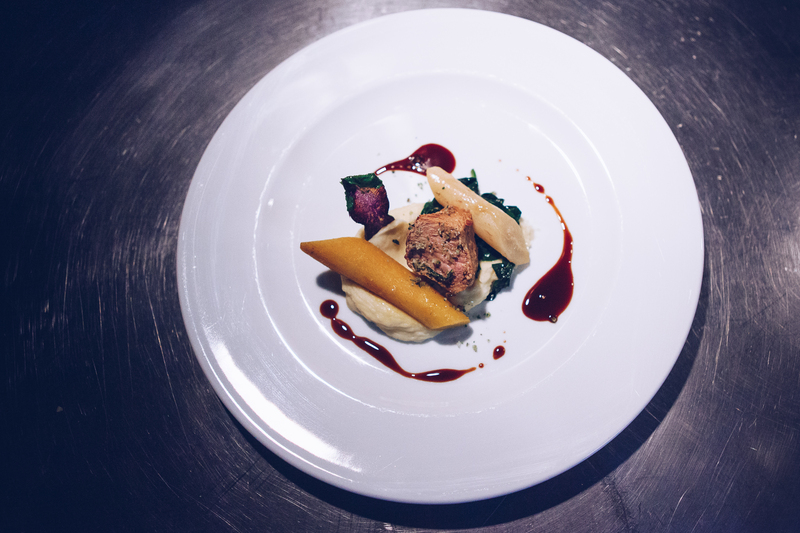 Thanks to the dinner event series 3/6 Dreieck Dinner I was able to experience three of the most interesting restaurants in this area and all in the course of one evening and one menu. Instead of just going to one restaurant and eating all courses there how about taking courses in different places that are close by? This is pretty much the concept of the Dreieck Dinner. What I like most when I go to a restaurant is to find someone truly passionate about what he does: a pastry chef meticulously preparing his macarons and giving them a perfectly smooth shape, a wine shop owner talking about wines as if he were talking about his lovers or a chef telling you how he chose his potatoes for cooking French fries that are crispy outside and just a little soft inside. 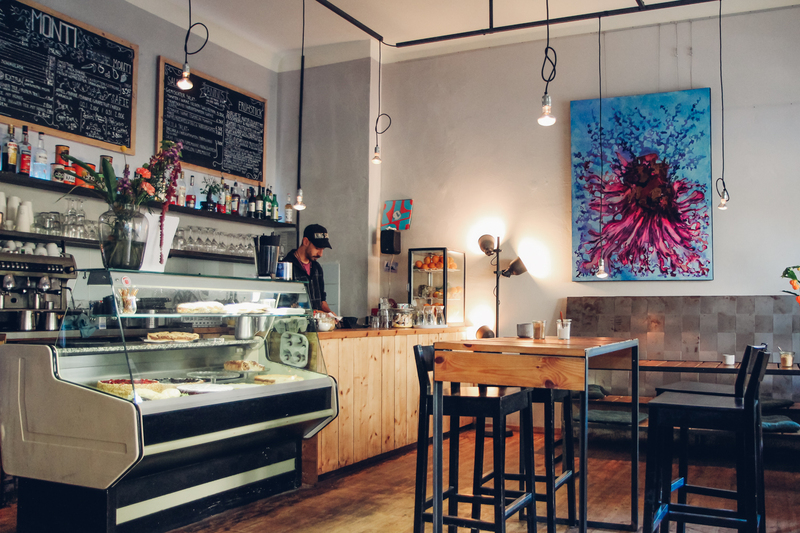 I’d like to share some tips with you about authentic French restaurants, bakeries, crêperies, cheese and wine shops, and also present you French artists living in Berlin. 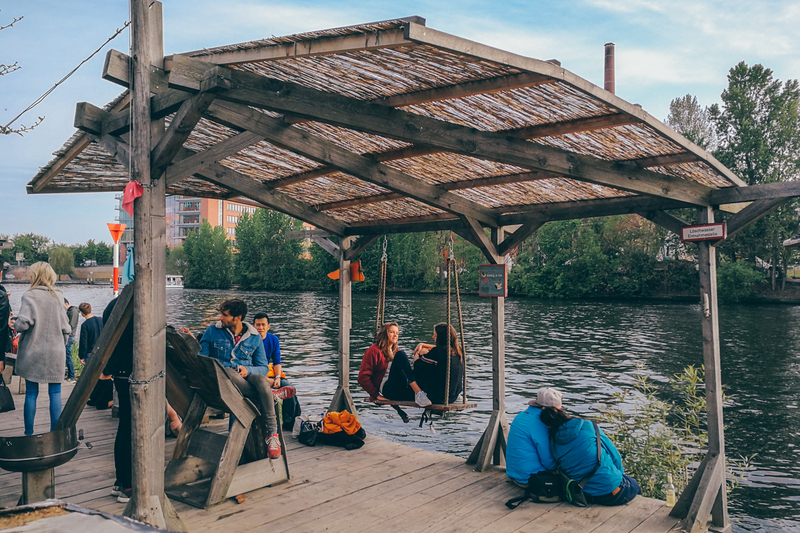 Who would have thought in the mid 2000s that a tiny shack of scrap wood on an abandoned lot at the river Spree would ever become the quirky urban oasis that is the Holzmarkt today? It was in the year 2004 when I stepped into the so-called Bar25 for the first time. At the time it was a tiny improvised bar made of recycled wood at the end of an overgrown footpath in the wastelands of the Spree riverbanks in Friedrichshain. There was no techno party going on there, just the comfort of a worn out couch and some beers. I was on a date then that I hardly remember now, but I remember the place because it became of one the most legendary international techno clubs and a hub for youth culture of the post-millennium era. Over the course of the next 7 years the buzz around this inconspicuous little place became louder and louder. I dropped by every now an then observing their journey to techno heaven and international fame. The bar grew bigger ever year, adding a small circus arena, a pizza parlor, a restaurant, a spa, a pool, a hostel and more cute little things to its world making it a little paradise that you never wanted or needed to leave. They started the whole cult of going to a place and not leaving it for 5 days straight. You didn’t have to, because there was everything you needed – plus a swing with a lovely view of the sunset over the Berlin city silhouette. There was a lot of feathers, confetti and glitter involved, something that set the Bar25 apart from it’s more understated neighbor Berghain that opened around the same time as them.